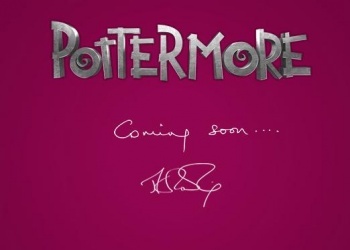 In less than a week, we'll know what JK Rowling's "Pottermore" is. Place your bets now. There are few media properties in the world - perhaps in all of history - with the sheer clout of JK Rowling's Harry Potter series. With Harry Potter, not only do you have the best-selling books, but you have the videogames (some better than others) and the massively popular film series. Hell, you even have an amusement park. But the final film in the franchise is coming this July, and with that, the Harry Potter series is over. Or, maybe not. There's a mysterious countdown on YouTube with the URL "JKRowlingAnnounces." As you might expect, it's a clock that's ticking down "until J.K. Rowling's announcement," and at time of writing it had 6 days, 9 hours, and 57 minutes to go. The site shows a cloudy sky in front of many, many owls, which might lead some to suggest that this announcement has something to do with the Boy Who Lived. Those people, of course, would be absolutely right. The site in question is "Pottermore," and just in case the title, URL, and white owls on the screen didn't clue you in, there's a copyright note at the bottom that reads: "Harry Potter and Pottermore Publishing Rights © J.K. Rowling. Harry Potter characters, names and related indicia are trademarks of and © Warners Bros. Ent. All Rights Reserved." That just sounds like a big Potter website or network, to me. Maybe it's an MMO. I guess we'll find out in just under a week. Your thoughts, ladies and gentlemen?